The historic relationship between UNE and the New England Regional Art Museum has been reaffirmed with a sponsorship agreement. 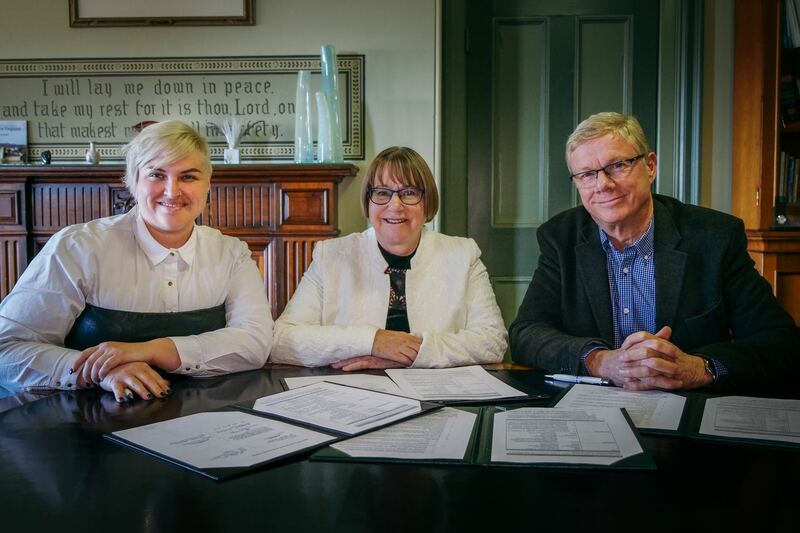 Image: Signing the UNE-NERAM moU: Rachel Parsons, NERAM's Manager Curatorial & Exhibitions; UNE Vice-Chancellor, Professor Annabelle Duncan; NERAM Board Chair, Andrew Murray. The New England Regional Art Museum (NERAM) and the University of New England have entered into a three-year partnership underpinned by UNE sponsorship of NERAM. The sponsorship agreement supports the ongoing partnership between NERAM and UNE to present exhibitions and programs that facilitate student engagement and cultural education. UNE Vice-Chancellor, Professor Annabelle Duncan, said that the University’s sponsorship of NERAM represents a valuable collaboration between two organisations with different capabilities, but a shared philosophy of supporting Arts in the region. “We are very excited at NERAM to grow and further strengthen our collaboration with UNE,” said Rachael Parsons, Acting Director. “This new agreement will enable us to increase our engagement and education programs for students, and to develop joint exhibitions and events that highlight the exciting collections and research from both institutions. “It is an important aim of NERAM’s to be involved in the community and culture of the New England Region and to connect with the region’s organisations, institutions and communities. We are looking forward to continuing to work with UNE staff and to build on our existing connections with the university. For further information about NERAM sponsorship opportunities visit the NERAM website.